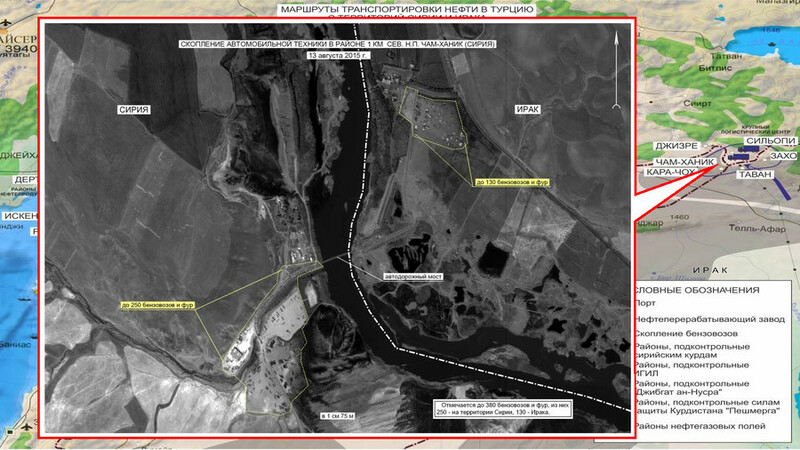 Russia’s Defense Ministry published images and a map it says reveal a chain of oil smuggling to Turkey from Islamic State – from extraction to refining facilities. 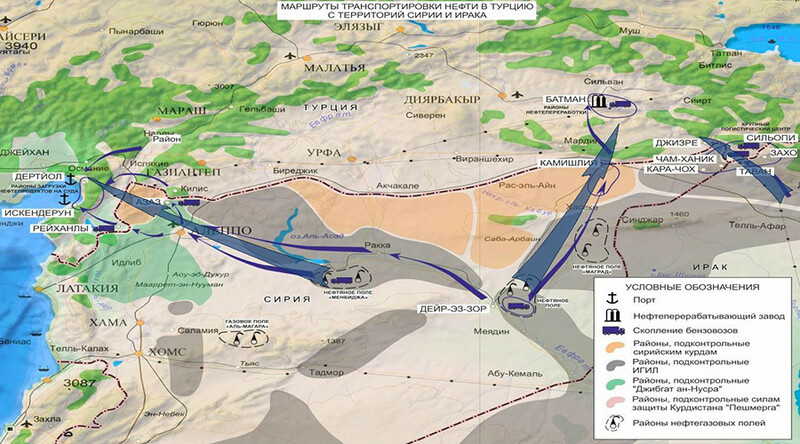 At least three ISIS oil supply routes were located, all leading to Turkey. 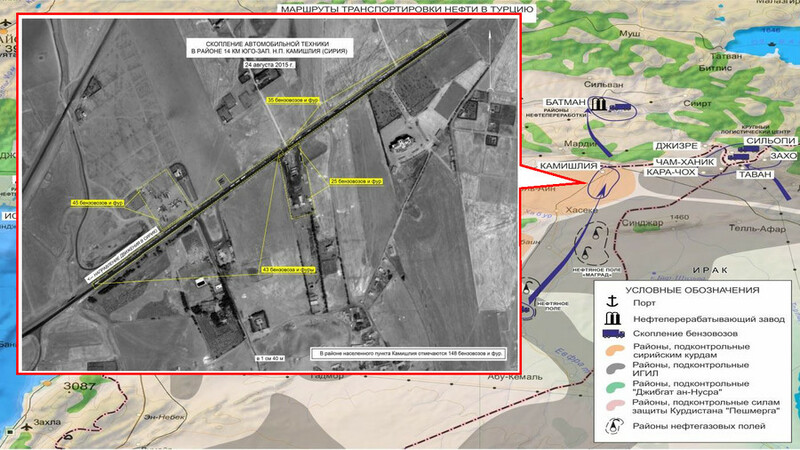 “The General Staff of the Russian Federation Armed Forces has irrefutable evidence of Turkey’s involvement based on aerial and space reconnaissance data,” Lieutenant-General Sergey Rudskoy said during the Defense Ministry briefing on Wednesday. He added that the vehicles with illegal oil that are crossing Turkey are not checked at the border. Rudskoy concluded that most of the oil is being transferred from eastern Syria to a large oil refinery plant in Batman, 100km from the Syrian border. The 200,000 barrels of oil that Russia says is smuggled by IS every day is roughly equivalent to the average daily oil export of Gabon in 2014 or Australia in 2013, according to an OPEC annual statistical bulletin. It is also only slightly less than the average daily oil export of pre-war Syria in the second half of the 2000s, which amounted to 247,000-250,000 barrels per day.